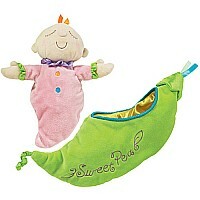 Our super soft Sweet Pea is a baby’s first cuddle doll wrapped up in soft silky fabric and ready to be loved. 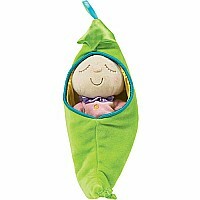 The doll is 8½" long and comes with its own snuggly pod. For ages 6-18 mos.